Today is the 72nd anniversary of Joe Sobran’s birth. Griffin Internet Syndicate, October 28, 2004 — I just got a message from a friend who nearly always disagrees with me. His disagreement usually takes the form of an irritable accusation: to wit, that I can’t really mean what I say. Accepting disagreement as sincere is one of the severe tests of maturity. I now believe many things I’d much rather not believe. I’ve also had to give up beliefs I once cherished, at some cost in comfort, recognition, and dear friendships. Not to mention money. I was sitting pretty when I was a mainstream conservative. I miss those days. But there’s no going back. Finally, it’s a matter of self-respect: I just couldn’t keep saying things I could no longer say with conviction. I have to endure a certain amount of isolation and even ostracism. Copyright © 2018 by the Fitzgerald Griffin Foundation. All rights reserved. “You Can’t Mean It!” by Joe Sobran was published originally by Griffin Internet Syndicate on October 28, 2004. 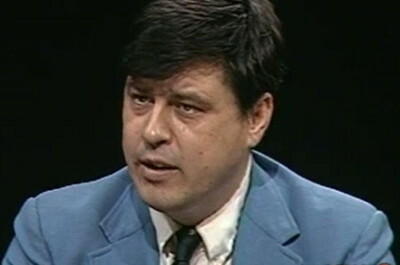 Help preserve Joe Sobran’s legacy! Give a tax-deductible donation today on his 72nd birthday to the Fitzgerald Griffin Foundation, the only organization dedicated to promoting his writing.